The course of architecture was forever changed the day the ancient Romans developed concrete. This wonderful material is renowned for its strength and durability as well as being abundant. While the concrete that the Romans used to build their structures is very different from the type that we use today, concrete is still consistently the prime choice for builders throughout the ages. Concrete is all around us, from the walls that envelop us to the buildings that we enter for work. So it is not that farfetched to say that we are very familiar with this material. However, there are still some amazing facts about concrete that might just surprise you. Here are some of them. 1. 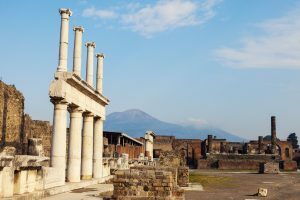 Roman concrete was made by mixing lime and volcanic ash from Mount Vesuvius. This is a far cry from today’s concrete mixture which is usually made from water, aggregate (e.g. gravel or sand), cement, and air. Concrete definitely has gone a long way! 2. While the Romans used concrete, it was largely forgotten during the Dark Ages. It was not until the Middle Ages passed that concrete was used once again. 3. Concrete is the most widely used man-made material on the planet. 4. 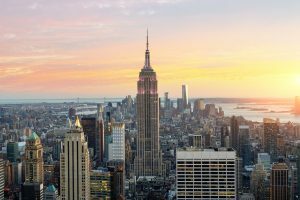 The Empire State Building, which was the tallest structure in the world when it was built, used a whopping 62,000 cubic yards of concrete. 5. Concrete mixture is normally made with 60-75 percent aggregate, 15 percent water and cement, and 5 to 8 percent air. 6. While concrete does not have a melting point, a temperature of a thousand degrees Fahrenheit will decompose the concrete. This means that the heat will evaporate the water and turn the sand and gravel into molten lava. 7. It was in 1824 when the modern cement was invented. This invention is credited to Joseph Aspdin of England. He named his cement Portland, after a quarry that yielded strong stones. 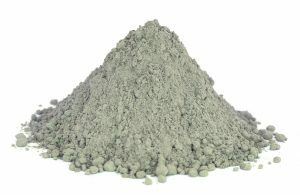 Today, Portland cement is the most common ingredient found in concrete. 8. According to the Washington Post, China has used more cement during the years 2011-2013 than the United States concrete use in the entire 20th century. 9. 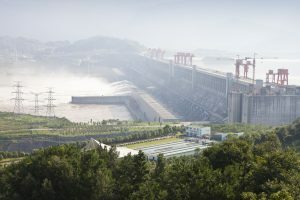 The Three Gorges Dam on the Yangtze River in China is the heaviest concrete structure in the world. How heavy is it? The Dam is said to contain 144,309,356,753.51 pounds of concrete. 10. Thomas Edison has over 49 patents that use concrete. Some of his ideas dabbled on concrete houses and even concrete furniture to match. 11. Concrete is one of the most widely used materials for underwater structures. This is because concrete has a very high resistance to both fire and water. 12. 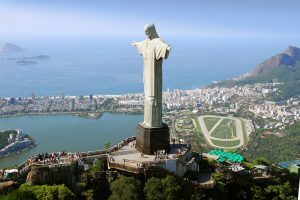 The statue of Christ the Redeemer in Brazil was constructed using concrete and soapstone. The entire project took nine years and 635 tons of concrete to finish this amazing marvel. 13. The first concrete road was built on Woodward Avenue in Greenfield Township. It was built in 1909. 14. The world’s demand for cement is projected to increase by 4.5 percent each year which means that by 2019, the world will be consuming about 5.2 metric tons of cement. 15. 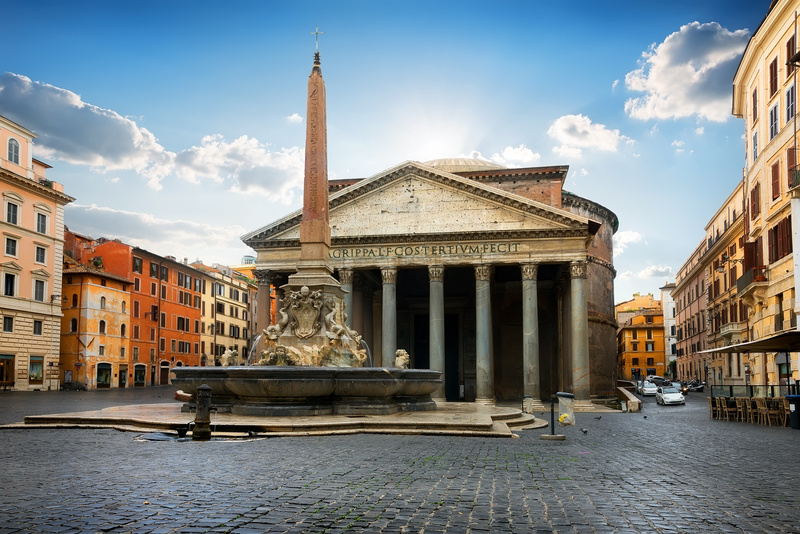 The Pantheon in Rome was built using concrete. Today, it is still considered as the world’s world’s largest unreinforced concrete dome. There you have it, 15 interesting facts about this amazing material, that becomes even more amazing when polished by the right experts.